In our youth area, picture books abound. The few words hold attention spans, and lovely illustrations and photographs enhance the story. So, let me let you in on a little secret: we have these books in the non-fiction section too! 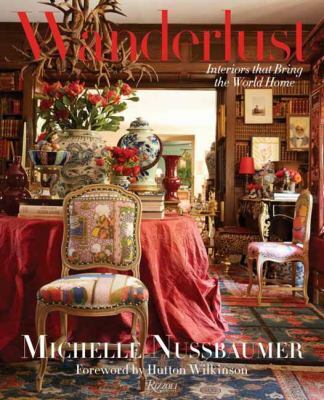 Wanderlust: Interiors that Bring the World Home by Michelle Nussbaumer is a feast for those who love to decorate, travel or just need a little color in their lives. Lavish photos of multi-layered and lush interiors are on every page, featuring items and designs from around the world. This book is fresh to the library, and literally shines from the new book shelf. If art is your thing, then Charlie Russell might be your man. In 2014, the Montana Historical Society put out a book showcasing the 230 artworks of oils, watercolors, letters and sculptures that the Society houses. The book, Montana’s Charlie Russell: Art in the Collection of the Montana Historical Society, starts with Russell’s earliest sketches of the 1880s and moves towards his unfinished last work, Kottenai Camp on Swan Lake. The pictures are of the highest quality, showing exquisite details and colors, and if you can stand it, there are some essays to read as well. Something even closer to home awaits in Visions and Voices: Montana’s One-Room Schoolhouses by Charlotte Caldwell. Caldwell traveled the counties of Montana to photograph the remains of one-room schoolhouses and to hear recollections of those connected to them. 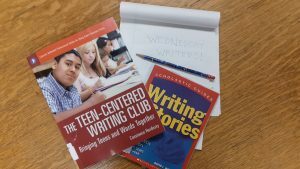 Fergus County is represented with Ackerly School, Box Elder School and Cottonwood School with recollections from locals Rod Linhart, Carole Wicks, and Shirley Barrick respectively. This book is a wonderful visual tribute to our rural heritage, with exquisite images portraying remnants of the past. Branching out, another new book to the Library is This Land: An American Portrait by Jack Spencer. This book was brought to my attention by a patron, and it makes a great addition in chronicling our sense of place in these times we live in. Spencer spent thirteen years photographing the lower 48 states to create a “startlingly fresh perspective” and a “breadth of imagery” of the American landscape. Using saturated colors and black and white images, this book is both nostalgic and contemporary in feeling and subject matter. Finally, for even further exploration, we can view “a kaleidoscopic view of remote Artic and alpine landscapes” in Ice: Portraits of Vanishing Glaciers by James Balog. Started as an environmental survey with extreme cameras, Ice documents climate change in action while preserving the legacy of the “cryosphere,” or the landscape of ice. A picture says a thousand words, which is probably why some of these books are so big. They are unique in size and content and if you are willing to lug them home, you will not be disappointed.